As students prepare to welcome the Class of 2020 on campus for Visitas, Harvard's weekend for its admitted students, local businesses are likewise gearing up for their arrival. The Office of Admissions expects over 1,300 prospective freshmen to attend the weekend-long program, which will feature over one hundred events organized by the College. 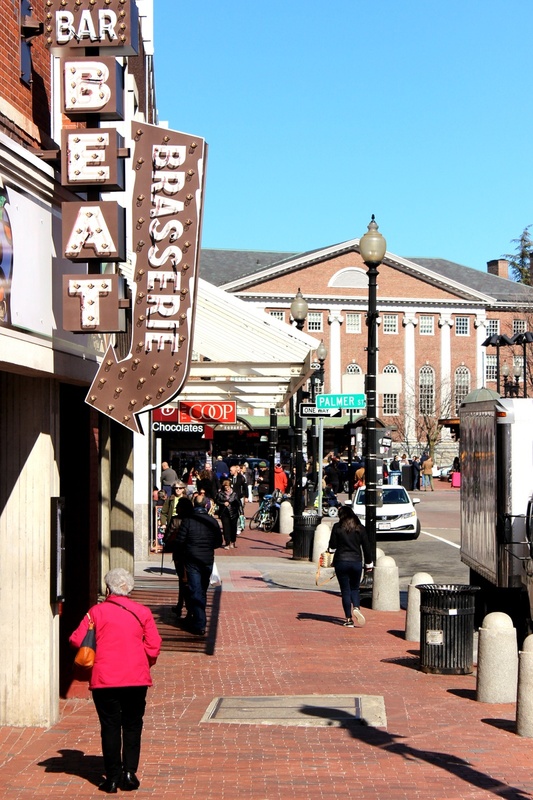 In addition to these events, the Office of Admissions is partnering with the Harvard Square Business Association to hold the first "Harvard Square Street Fair." The Fair, to be held on Saturday on Winthrop Street, will showcase a wide variety of Square businesses, including restaurants, retailers, service providers, and financial institutions. Director of Visitas and former Crimson business editor Timothy J. Smith '08 said he hopes prospective freshmen see that Harvard is a vibrant community and "more than bricks and gates." Denise A. Jillson, executive director of the HSBA and an organizer of the fair event, said she looks forward to showcasing Square businesses to students and their families. "Harvard Square is very special, and I think the University really understands the value that the Square brings to the University experience," Jillson said. Prospective freshmen will be able to explore the wide offerings of local shops at the fair, where many represented businesses will tout special deals exclusive to prospective students. The Harvard Coop will feature special discounts for prospective students. Coop President Jerry P. Murphy said the apparel shop gave each admitted student free membership and a Class of 2020 t-shirt. He added that students prefer leaving campus with more Harvard gear. "Hopefully when they think about coming to Harvard, we can help that process along by having something they will like to identify with, that they can think back to the fun memories of their weekend at Harvard," Murphy said. One of many restaurants represented at the fair, El Jefe's Taqueria, will showcase its food, providing coupons and complimentary snacks. As the restaurant is relatively new to the Square, opening last November, its manager Jon Eller said he is "excited to have more people over, and more people to get to know our business." In addition to restaurants and retailers, hotels like the Charles Hotel will also participate in the street fair. Greg S. Bodenlos, brand marketing manager at the Charles, noted that in addition to the actual hotel, the Charles encompasses the Regatta Bar jazz club, Noir, and Henrietta's Table, locations which he hopes to highlight for prospective freshmen and their families. Prospective freshman Michael J. Won said he and his family plan to take advantage of the businesses in Harvard Square during Visitas. His parents are staying at the Charles Hotel, for instance. "I hear that there are some limited edition sales from the Harvard Shop," Won said. "I plan to buy some apparel." Won also intends to spend time in Harvard Square with other admitted students from Manhattan, his hometown. Among dining options, the group has tentatively decided on student favorite Felipe's Taqueria.